2. In the left hand sidebar you will see a Local Folders. Click on the selection and the right hand panel will offer you several options. 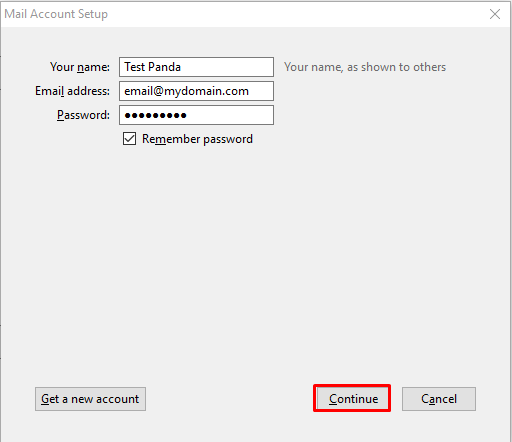 Click on the Create A New Account option. 3. 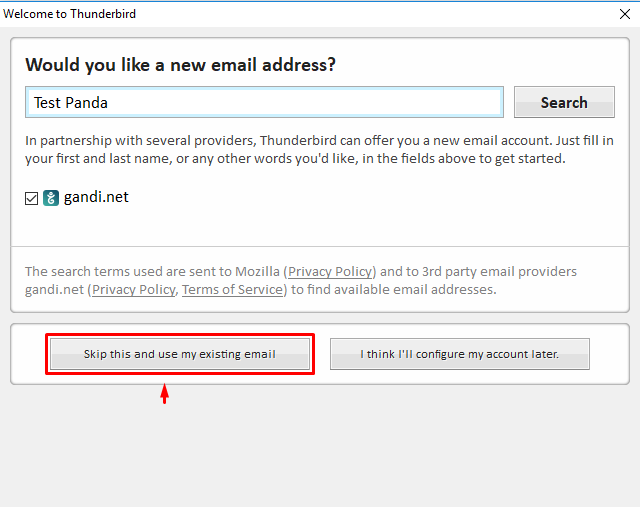 In newer versions of Thunderbird, you will be met with a popup offering a new email account from a few sponsors. You simply need to click the button at the bottom entitled Skip this and use my existing email! 4. You are now taken to a page where you will enter your existing email information. After entering the information, click on the Continue button at the bottom of the page. 5. Thunderbird will now try and find standard connection information to connect the email account. It is best to configure this information yourself by clicking the Manual Config button found at the bottom. Be sure to select the incoming protocol you wish to use (IMAP or POP3). You can read about the differences here. Generally speaking, IMAP is best if you plan on checking the email from multiple devices. 6. This is the manual configuration page, where you will set up the incoming and outgoing servers and their respective ports. Once you have entered your settings, hit the Re-test button. If the settings are correct, the Done button will become available. Click it to move on to the next step. 7. Type in Your Name/E-mail Address, Incoming/Outgoing mail servers, User Name/Password & then click More Settings. Your Name: Enter your name as you would like it to appear in the From: field of outgoing messages. E-mail Address: Enter your full email address (email@mydomain.com). 8. 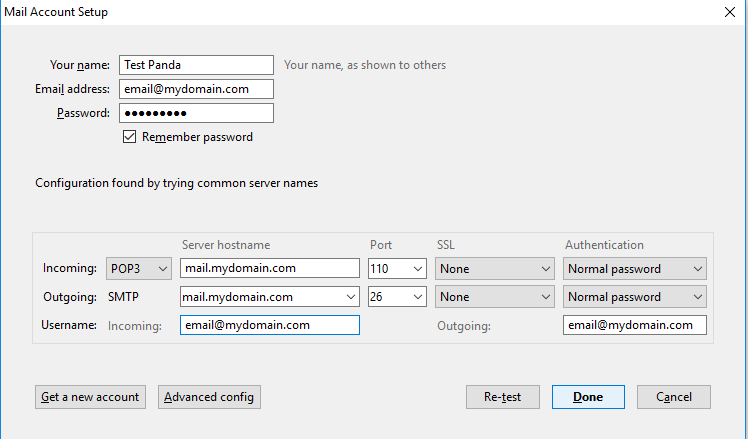 If you did selected the normal (unencrypted) settings, you will be presented with a popup telling you that the email connection to the server is unencrypted. 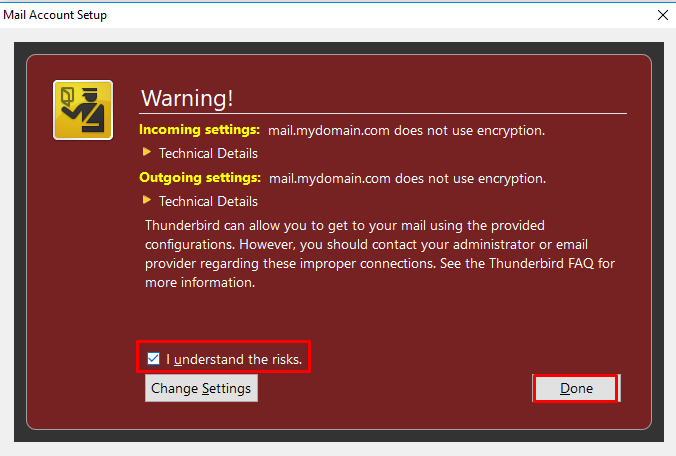 You can check the I understand the risks checkbox and then click the Done button to continue. 9. That should complete the process of adding an email address to the Thunderbird email client. You should now see your new email address in the left hand sidebar. That means it is ready for use!